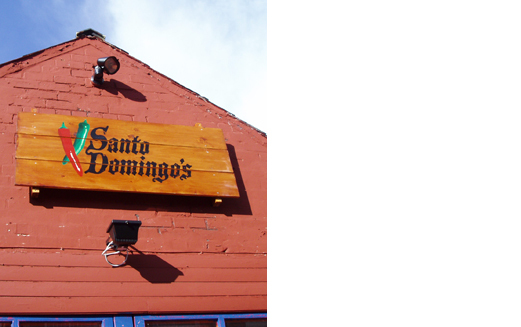 With twenty days to opening, Santo Domingo's Mexican restaurant and tequila bar needed everything! 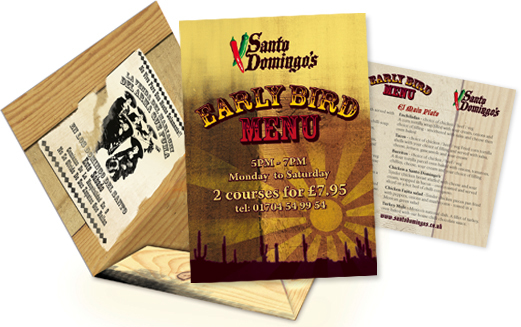 Logo, menu, signage and internal art work. 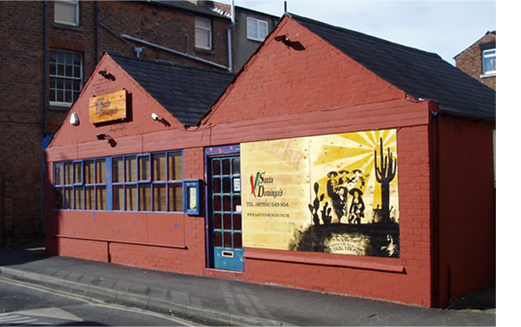 Working closely with the owners we started with the brand, great communication between us, we set about treating this authentic Mexican restaurant to be the real deal, authentic tequila and amazing chocolate mole sauce dishes. 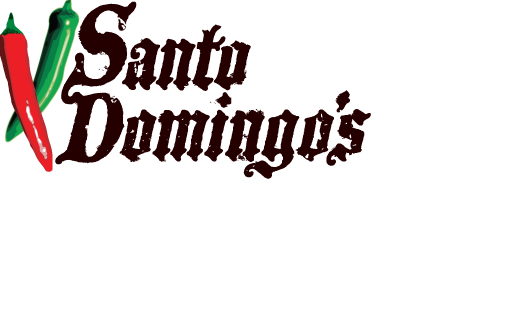 All the branding had to ooze the experience of Santo Domingo's. 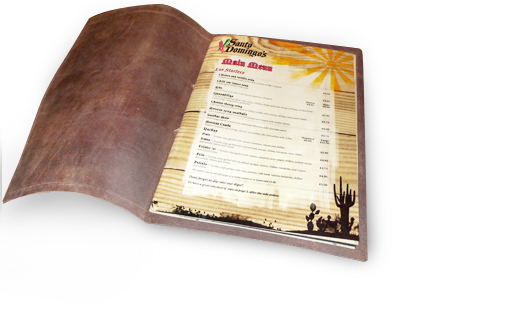 Check out the custom leather menus, giving a great tactile experience to holding a piece of Mexico. 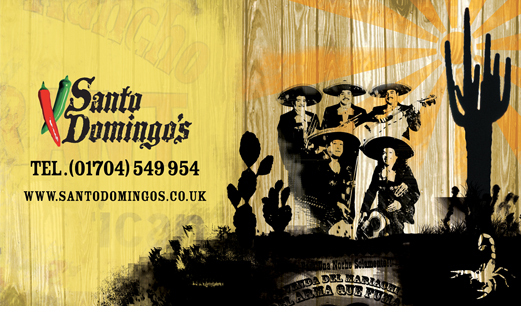 After a couple of weeks of use they looked even better!